Season eight and the complete series box set of 24 were released on DVD this week. The action series finished it run last May with Jack Bauer (Kiefer Sutherland) going on the run once more but, not before thanking faithful Chloe O’Brien (Mary Lynn Rajskub) for all of her support and devotion. As is often typical in TV and film production, scenes in the 24 series finale were filmed out of order. The TV show’s final scene was not actually the last one filmed. The final day on the set saw Jack and Chloe facing off with guns pointed at one another. It seems appropriate since the relationship between the two characters has continued to grow since the third season. MTV News has secured a clip from the final hours of filming — when Rajskub wraps for the day, season and series. On the 24 DVD sets, the footage is titled “Goodbye.” Take a look. 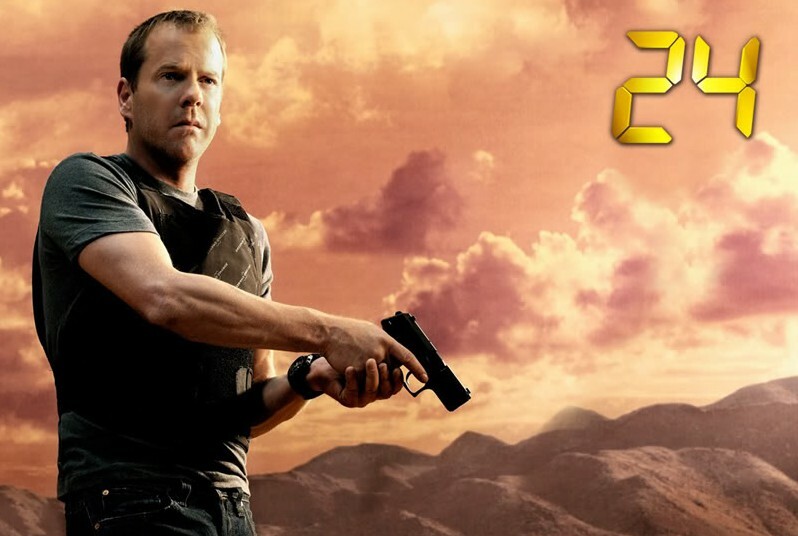 24: What Happened After Jack Bauer Said Goodbye to Chloe? Pls resurrect 24 ….no other TV series as good as this!!! I am an ardent fan of 24 since the beginning and have been collecting all the seasons DVD. Keep on watching them again and again….Pls, pls, pls, pls resurrect 24 and not let the series die off!!! I didn’t know that season 8 was the last of the series. i was hoping that there would be season 9. i’m sad and disappointed. when is season 9 coming out??? ?we are waiting please.